The vast world of Elisabetta Franchi, full of style and creativity, is the result of the designer's great passion from which the brand takes its name, as well as a scrupulous study of the product, an absolute dedication to work and a good dose of concreteness. Dresses, shirts, coats, tops, skirts, trousers but also shoes, bags and accessories. The vast world of Elisabetta Franchi, full of style and creativity, is the result of the designer's great passion from which the brand takes its name, as well as a scrupulous study of the product, an absolute dedication to work and a good dose of concreteness. 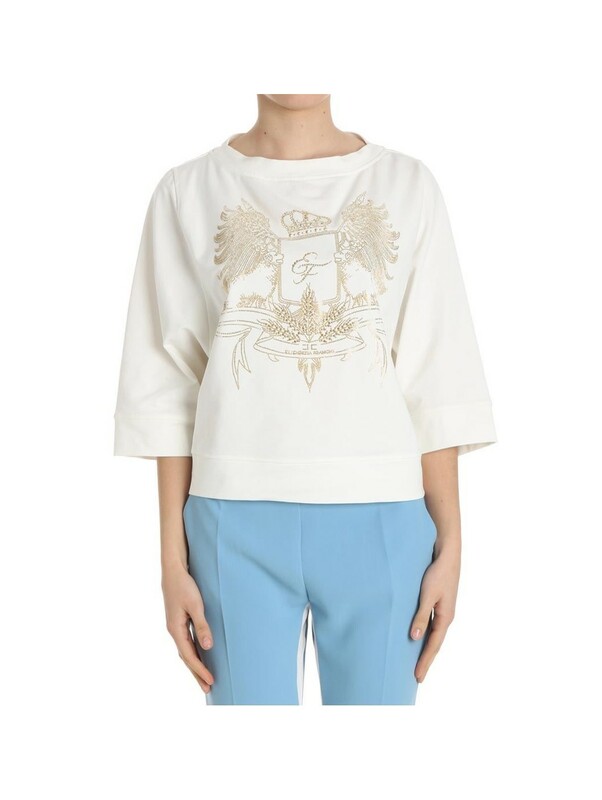 The Elisabetta Franchi woman expresses her personality through the outfit. Romantic and sensual, but at the same time with a strong identity, it dresses refined fabrics that follow the philosophy of an ethical and sustainable fashion, which looks at the protection of animals. ELISABETTA FRANCHI GO175 350 GONNA C.
GONNA C. GO175 - 91E2 COLORE 350 ELISABETTA FRANCHI GO175 350 GONNA C.
ELISABETTA FRANCHI GO224 360 GONNA C.
GONNA C. GO224 - 92E2 COLORE 360 ELISABETTA FRANCHI GO224 360 GONNA C.
ELISABETTA FRANCHI GO195 H85 GONNA C.
GONNA C. GO195 - 91E2 COLORE H85 ELISABETTA FRANCHI GO195 H85 GONNA C.